Our main aim of this blog is to educate, inform and sometimes entertain you on all things related to our industry. We hope you enjoy reading it. For those customers who have hired their bins for a number of days, it is recommended not to leave the loading until the last day. You never know when life, work or the weather can hamper your plans. The key factor with green waste is the smaller that you cut it down, the more you will fit in the bin. If you really want to pack the bin to the maximum, you can partially fill the bin, then hop into the bin and jump on the green waste. Repeat this procedure until the bin is full to the rim. Leave thicker branches to put on top as this will help to hold down the lighter waste beneath them. Palm fronds should be cut smaller as these will definitely create voids in the bin. Cut them where they branch out to the larger part of the frond. The larger parts can then be placed down at one end of the bin. Fill only to the top rim of the bin so it can be transported safely by our skip bin drivers. Any flat pieces should be placed at the bottom of the bin, provided that they are not resting on the side or end of the bin, because this would leave a cavity under the item. Larger items like furniture, should be loaded in next. Finally, pack all your smaller items around the larger items. Try to load all items in tightly as the less voids and space you leave the more you will fit in the bin. If you are loading a fridge or cupboards of some type, then lay them facing up so that you can open the doors and put the smaller items inside. It is a good idea to break up any items, as the smaller you make them the more you will fit into the bin. Timber and chipboard furniture can be dropped on their bottom back corner. The diagonal force easily breaks it down into flat pieces. Mattresses, up to queen size, can be left to last, to lay flat on top of the other rubbish and level with the top of the bin. Queen size mattresses fit snugly into the 4 and 6 cubic metre bins. Weight Limits Each skip bin size has a weight limit, but providing you follow the general waste guidelines,(no building / renovation materials, dirt, bricks or concrete), you should be within the weight limit. Paint Tins. We are not allowed to take liquid paint. However, if you solidify the paint in the tin by mixing with a commercial paint hardener or soil, sawdust, sand etc you can put it in the skip bin. Alternatively spread the wet paint onto old carpet / rug/ newspapers and let dry before rolling up and placing in the bin. No-one wants to drive behind a skip bin truck with wet paint or liquids coming out the back. We CANNOT take any tyres, asbestos, liquids or hazardous waste in our skips. In this article, we take a look at the best options for hiring a skip bin in Brisbane Northside and inner Southside (see delivery areas here: Delivery areas and answer some of the frequently asked questions that we come across. If you are tackling a project that will produce a lot more waste than your weekly rubbish limit allows, then a skip is a great way to dispose of it all. Whether you are doing a renovation, garden cleanup, declutter/cull or moving, a skip has many benefits when it comes to rubbish removal. They give you a designated space to throw your rubbish so that you can reduce stress and clutter. They come in different sizes to suit your needs. (2m3, 3m3, 4m3, 6m3) We deliver and pick up your skip to dispose of your waste. All you need to do is throw your rubbish into the skip bin. Hire period is usually up to 5 - 7 days. You can put a lot of different types of waste together, but it may be more cost effective and enviromentally responsible to separate your waste. Often, not all the waste goes to the same place. General Waste: Most general household waste, cardboard, clothes, toys, furniture, plastic, computers, tv's, fridges, appliances, light green waste etc. (X CAN'T GO IN BIN. Dirt, bricks, concrete, stones, sand, tiles and any hazardous material). Mixed Combo: This can be a combination of any of the above material plus dirt, mulch, turf. (CAN'T GO IN BIN: HAZARDOUS WASTE) If you want to order this type of skip you need to call our office 07 3888 5568. Please note we cannot take Hazardous waste in any of our skips. HAZARDOUS WASTE INCLUDES: asbestos, tyres, liquid paint, oils, food, gas bottles and batteries. Not sure what to do with old paint cans cluttering up your basement or garage? Follow this action plan to either condense or dispose of your surplusand win back some valuable floor and shelf space in the bargain. 1. Determine if the paint is still good. Solvent-based paints have a 15-year shelf life. If you can stir it, its probably okay to use (even if you have to remove the skin on the surface first). Latex has a shelf life of 10 years. If it has been subject to freezing, it may not be usable. Test by stirring and brushing onto newspaper. If there are lumps, the paint is no longer good. 2. Decide what to keep. If the paints are in colours that are still on your walls, it makes sense to hang on to them. They will be useful for touch-ups and repainting when the time comes. If the lids are loose, seal them carefully; transfer small amounts in smaller containers. Be sure to label with color name, number and date of purchase. 3. Ways to use leftovers. Even if youre sure the paint colour is not one youll return to, consider mixing leftovers of the same paint type (latex with latex, acrylic with acrylic, oil with oil) to use as an undercoat primer. 4. Donate paints you dont want. If you have good paint that you cant use, offer it to family, friends, neighbours, or call a local paint contractor. Some charities may take paint too, especially those that do work helping the elderly with home renovations. Latex and acrylic paints: Some councils will allow you to solidify these paints and throw them away with the household trash. One way to do this is to mix it with a clay-based kitty litter at a ratio of two parts litter to one part paint. Do this in a well-ventilated place thats off-limits to kids and pets. Other ways are to use sawdust, newspaper or leftover concrete mix. Oil-based and alkyd paints: Check your local councils website for household hazardous rubbish free drop off days. Bring paints to the specified collection site along with other toxic products you want to get rid of, such as paint removers, used solvents, pesticides, and herbicides. Please Note: We can only take empty paint tins with the lid off in our skip bins. Tyre recycling, or rubber recycling, is the process of recycling waste tyres that are no longer suitable for use on vehicles due to wear or irreparable damage. These tyres are a problematic source of rubbish, due to the large volume produced, the durability of the tyres, and the components in the tyre (rubber, steel, textiles) that are ecologically problematic. Because they are highly durable and non-biodegradable, they can consume valuable space in landfills. Currently, thousands of tonnes of scrap tyres are illegally dumped every year and not only cost millions of dollars annually but also produce severe health hazards and environmental damage. Tyres are very combustible. Once ignited, they are difficult to extinguish. The fire releases a dark, thick smoke, producing chemical toxins that affect humans, flora, fauna, waterways and the atmosphere. In 1989 Heyope, Wales a fire involving approximately 10million tyres burnt for at least 15 years. For some other notable tyre fires see: Tyre fires Whether they are dumped, burnt or put into landfill, every tyre that isn’t properly recycled leaches significant toxic and hazardous compounds into our environment. Even the smallest number of dumped tyres can create a dangerous breeding ground for mosquitoes that transport disease, such as Dengue Fever and the Ross River Virus. Bill Gates has explored the devastating role that mosquitoes play in carrying and spreading disease. He has featured an infograph on his blog revealing mosquitoes kill more humans than any other animal a year. To learn more read the "The Deadliest Animal in the World" article. Recycled tyres can be put to productive use in many ways, including, the manufacture of new rubber products such as soft fall surfaces, artificial turf and conveyer belts. Road construction and surfacing, alternative fuel source for producers of energy and cement, brake pads and other rubber products. Household hazardous waste includes everyday products such as bleach, garden and pool chemicals, cleaning solvents that are purchased from the supermarket or hardware store, asbestos, tyres, liquid paint, oils, food, gas bottles and batteries. Disposing of hazardous materials in your general waste or recycling bin, or skip bin is not safe as they can be flammable, corrosive, explosive or toxic. These materials can potentially cause fires in bins or garbage trucks and create a hazard for truck drivers, the community and the environment. Brisbane residents can take hazardous household waste to Council transfer stations for free on designated collection days. Items must remain in their original containers and not be mixed. A 20 litre limit for each chemical or product applies. This service is for Brisbane residents only. Saturday 3rd June 2017, 8am - 3pm at Ferny Grove Resource Recovery Centre, 101 Upper Kedron Road, Ferny Grove, is the next household hazardous waste free drop off day. If asbestos is disturbed during renovations or maintenance, your health and the health of your family and others could be at risk. DIY is not recommended where asbestos is present. If you find asbestos in your home: Never use any sort of tool or power tool on asbestos as these will make the fibres airborne. Don't cut it. Don't drill it. Don't sand it. Don't drop it. Don't scrub it. Don't saw it. Don't waterblast it. Don't take it down. Definately DON'T DUMP IT. There are legal requirements regarding asbestos removal, disposal and management. The safest way is to hire a licenced professional asbestos rubbish removalist, to inspect and advise. PLEASE NOTE: WE DO NOT AND CANNOT TAKE ASBESTOS IN OUR SKIP BINS. When you decide it's time to downsize, move or just clean up some of the rubbish you have accumulated in your house, unit and/ or garage, property, it can seem like an overwhelming job. One idea is to break it down into more manageable time periods. For instance, choose a room to start on, get a timer and set for 15, 30, 45 or 60 minutes. It doesn't matter the length of time, just do it as fast as you can, and do not get out more stuff than you can put away in that length of time. If you do this once or twice a day every day, you will find that it has become a much more manageable task. Start at the entry to the room, then work your way around the room clockwise. Do not miss a spot. Whatever happens to be next, just do it. You will need 3 boxes or bags. These are for "Give away", "Put away" and "Throw away". Then sort through your items and distribute into each box. Deal with everything you come across. You can always add more boxes, such as "Sell", "Recycle" the choice is yours. When the time is up, then you have to put away all the boxes. Take the throw away box and put in your rubbish bin, or start a pile ready for when you need a skip bin. Take the box for Give away / donate and put in your car for when you are out to drop off at donation bin. Put away box items are to be put away. A place for everything and everything in its place. Did you know that glass jars and bottles are 100% recyclable? 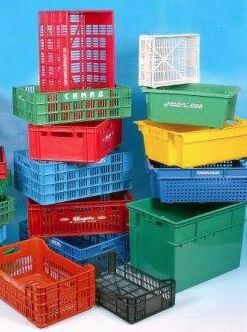 They can be recycled continuously in rubbish skips and waste bins with no loss in either their quality or their purity. In excess of a tonne of natural resources are saved for every tonne of recycled glass placed into mini skips or rubbish skips. A reduction of 2-3% in energy costs for every 10% cullet used in the manufacturing process. Rubbish bin recycled glass has many social, economic and environmental advantages. These include the conservation of precious natural resources and raw materials used in industries like the waste bin industry. By making products from recycled materials instead of pure materials, we conserve land and reduce the need to drill for oil and deep excavations for minerals and the need for rubbish bins. Making products from recycled materials creates less air and water pollution than making products from pure materials. Saving energy reduces acid rain, global warming and air pollution and the need for waste bins. That old timber you are going to through into the skip bin hang on to it. Same goes for those small thin bottles you are throwing into your recycling bin. This simple upcycling idea makes a rustic centre piece for your dining table. Minimal skills required to make this fantastic wood and glass idea. The picture really shows what you have to do to achieve the end result. Sand the timber and give it a clear coat of varnish, or if the timber is not the best looking then a coat of enamel paint will come up well. 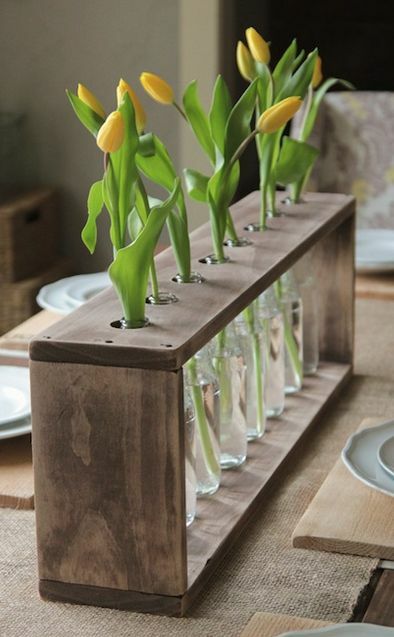 The picture shows some nice tulips sitting in the glass vases. Timber and wood are great products that go well together to form a natural appearance. A really cheap alternative to buying something like this in one of those trendy shops. Thanks to Shanty 2 Chic for the idea. 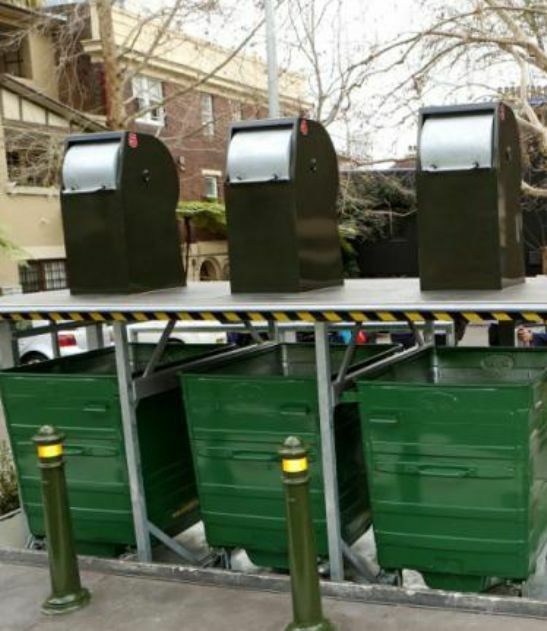 The City of Sydney has built Australia's first underground storage system for bins, providing an expensive but effective way to reduce urban clutter and an unsightly mass of waste bins. The new system (installed in Royston Street, Darlinghurst) replaces a cluttered bin bay with an underground storage system. Known as "Ecopunto", the Italian system was provided and installed by Parramatta based engineering firm Waste Drive. Underground storage systems have been used in cities around the world as a means of managing urban waste materials in high density areas. The system will see around 22 standard-size 240-litre wheelie bins replaced with large 1,100-litre underground bins. As the population of Brisbane continues to grow it won't be long before we see this waste bin system used around the streets of Brisbane. Now that you have filled your skip bin and cleaned out your old junk you may be inclined to shuffle some of your furniture around with this new found space. So, you have enlisted the cheap hire ie the man of the house to move the furniture around. The new layout is great but errr, what about those dents where your couch/chair/table once lived? Hmmm, are you one of those that think rubbing it out with your toe technique will work? A cheap less foot-crampy way to make those indentations disappear: a simple ice cube. Just put an ice cube on the dent and leave it alone to melt. As the cold water seeps in, your carpet will rise back up and no one will ever know a couch or coffee table once lived there. You can also use a spoon or fork to fluff the rug afterwards, but you shouldn't have to resort to that second step since the ice cube seems to work thoroughly enough without any poking or prodding. Recycling and reusing plastics is important for plastic waste disposal so it doesn't just end up in bins. Plastic is much more difficult to recycle than glass, aluminium or paper. Problems with recycling plastics is that plastics are often made up of more than one kind of polymer or there maybe fibre added to the plastic. Plastic polymers require greater processing to be recycled as each type melts at different temperatures and has different properties, so careful separation is necessary. Most plastics are not highly compatible with one another. Polyethlene terephthalate (PET) and high density polyethylene (HDPE) bottles have proven to have high recyclability and are taken by most curbside and drop-off bin recycling programs. The growth of bottle recycling has been facilitated by the development of processing technologies that increase product purities and reduce operational costs. In a disposable society we need a commitment like Australian Packaging Covenant which exists to make sure that our society and producers reduce rubbish waste, make packaging more recyclable and improve the collection of used materials so they don't just end up in bins. We are in the midst of a disposable revolution, that is a mindset where we produce it, use it and dispose of it.. 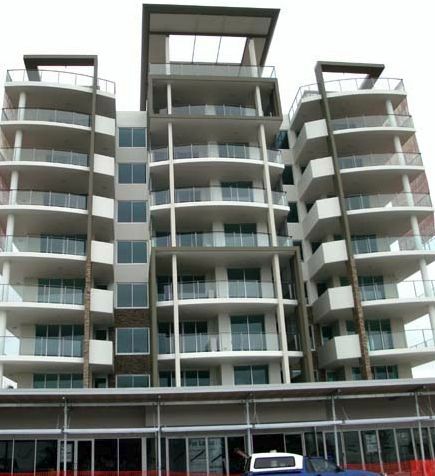 In Australia there has been a focus towards high density dwellings. This has meant the rise of the apartment complexes which in turn raises population density. As a society we need to consider the impact that rubbish creation has on these concentrated areas. So how can we help by doing our part. The list below is a start. ~ Crush your cans prior to putting them in the recycling bin. ~ Buy organic shopping bags and use them for your shopping. ~ If you use plastic bags when finished with them put them in the rcycling bins at your local store. ~ Rather buying bags for your bin use these plastic bags from your shopping in your bin. ~ Look to donate your second hand items rather than putting them in our skip bins. This is just a start so always be mindful before putting something in your bin and think, can there be a better way. People receive news and advertisements on many mediums such as newspapers, tv's, personal computers, and mobiles.Now, in London, they will see it on public recycle bins, or techno-pods. The techno-pods are equipped with large colour screens. The bins are constructed of damage-resistant fibreglass, with a screen on either end.The impetus for this e-news idea was caused by excessive newspaper rubbish. These bins will not only display news and advertisements, but also information about underground delays and the number of Boris bikes available in the vicinity. Renew is not going to charge people to use the bins, however, they said that advertisements and sponsorship may provide the necessary revenue to pay for these futuristic bins. The bins can also be used to display emergency alerts so that people walking out on the street who would not currently be viewing a television, computer, or even a mobile would be notified immediately. Say goodbye to Yellow Pages? The strongest man in the world set a world record by ripping through fifty 2000 paged books in three minutes.It's certainately one way to dispose of these increasingly irritating symbols of our waste culture. Sure these can be recycled in our recycling bins but the amount of energy used to produce them far outweighs this. But in this age of widespread internet access, do we really need to be carpet bombing our doorsteps with these paper breeze blocks? Can we not look up phone numbers for "skip bins Brisbane" in a slightly more sophisticated, resource-efficient manner. Accross the world these sticky note coloured blocks of paper are slowly being phased out to the benifit of our environment.Hmm I wonder what I will use to sit under my computer monitor now? Today we are going to look at an usual situation we had with one of our skip bins. The customer had ordered a 2m bin for concrete.The usual checks were done to make sure no other waste was going into the bin. We were told yep only concrete going into the bin. Our driver turned up to pick the skip bin up and saw this enormous piece of concrete sticking out of the bin by1.5m.Yep one solid piece of concrete that was put in there by machine. It's amazing how we just keep coming across stuff that we hadn't thought of before.We now know to ask when someone orders a bin for concrete "is it all broken up"
How big did you say he was? What a sight one of our drivers saw today when he was at the Chandler rubbish transfer station.Surrounded by bushalnd and plenty of wildlife this large gum tree is home to a very unusual and large koala bear. This bear was over a meter in length and width.It looked like he settled for the cheapest spot he could find by the way has was dangled over the fork in the tree.Workers at the rubbish transfer station said they had not seen anything like it before and maybe he had been nibbling on some of the waste to get to his size. Does anything symbolise the throwaway culture better than coffee chains? Every one is piled high with by-products of a culture which in the past 10 years has gone from thinking that a cheap cup of coffee is enjoyed sitting down, in a break from a busy day to one where if you're not constantly rushing, you may get to work to find your desk gone. Gone are the thick white mugs, washed and resued until they broke. Instead, we've a vast new industry of disposables for coffee on the go and then into bins. There are no regulations determining what materials they use or how they dispose of the waste. So they do what they like - which turns out to vary wildly. One reason may be that three different government departments are in charge of waste management. Of course the real point of a takeaway cup is to take it away, so we need the bins in the street, not in the store. And we probably need half a dozen separate bins, until the ink, the glue, the cling film and the cardboard are standardised. Don't hold your breath. Although you can hide the cheap cups, ignore them or attempt to leave them behind, you can't really throw them away because there is as the poster tells us no 'away'. Instead, why not do without the cheap and wasteful paper cup and give yourself a few precious minutes to daydream in a cafe? Electronic waste can come in many forms including computers, printers, faxes, monitors, batteries and mobile phones.Disposing of ewaste at rubbish tips can become a problem because they leach toxic chemicals from the decomposing waste. These substances can seep into groundwater, contaminate the soil and enter the food chain. Of the e-waste that gets sent to the rubbish tips 10% are monitors, 10% are televisions, 15% are computers and 15% are dvd/vcr/cd players. The remaining 50% is made up of white goods. In 2008 it's estimated that 37 million computers were already sent to rubbish tips. 3 million computers are sold each year in Australia with only a small % being recycled, e-waste continues to be a growing problem. We ask that if you have e-waste going into the skip bins that you place it on top so we can easily place it in the right recycling bins at the rubbish transfer stations. Today we'll look at the recycling of aluminum cans. Did you know the whole process can take as little as 60 days for the turnaround. Aluminium is unique in that it can be recycled indefinitely without losing its natural characteristics and it takes just 5% of the energy to recycle it as it does to make new aluminium. Manufacturers have cut energy and greenhouse gases through aluminium recycling and now the public can help ensure that aluminium cans are not lost in bins which get sent to landfill. Currently recycling rates are 58% and is hoped to be raised to 75% within the next couple of years. Over the last 20 years manufacturers have reduced the weight of the aluminium can by 15%, reduced the energy required to produce the can by 30% and reduced the greenhouse gases from production by 44%.Millions of cans are melted down each year and get turned into new cans in as little as 60 days. Today we are going to look at some of the stuff we find in the skip bins namely toys. 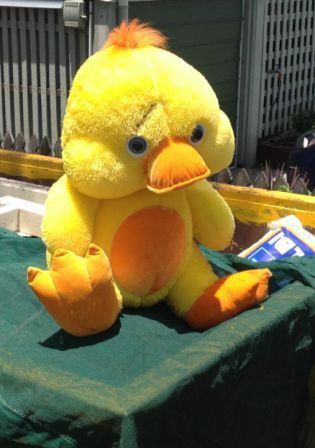 Coming up to Christmas unwanted toys in good condition are always welcome at Life Line or Vinnies.Recycling toys like this has a twin fold effect by saving the environment and making a child happy. Mark (one of our skip bin drivers) saved this fury little friend from the skip bin.He rode shotgun in the front of the skip truck till the end of the day when he was placed in a Life Line bin for collection. Mark complained he wasn't a very good navigator and wasn't very talkative about where to put the skip bins. Shopping centres lead the way in changing how we think of disposing rubbish. Installation of recycling bins in Westfield centres across Australia has seen recycling volumes of bottles and cans triple in one year from 542 tonnes to 1492 tonnes. The contamination rate of incorrect rubbish being placed in recycling bins is only 6% which is more efficient then even local council kerbside collection schemes.Westfield work within the guidelines of the Australian Packaging Convention and have designed the colour coded bins and signage to make sure it was the same across all states. Other shopping centres have been slow to implement these recycling trategies. Westfield currently only make up 18.7% of all shopping centres across mainland Australia.A little thought can make a positive difference when throwing rubbish in these bins.